I followed Matt’s clear instructions. Matt uses American Crochet terminology. In South Africa we use UK crochet terminology. 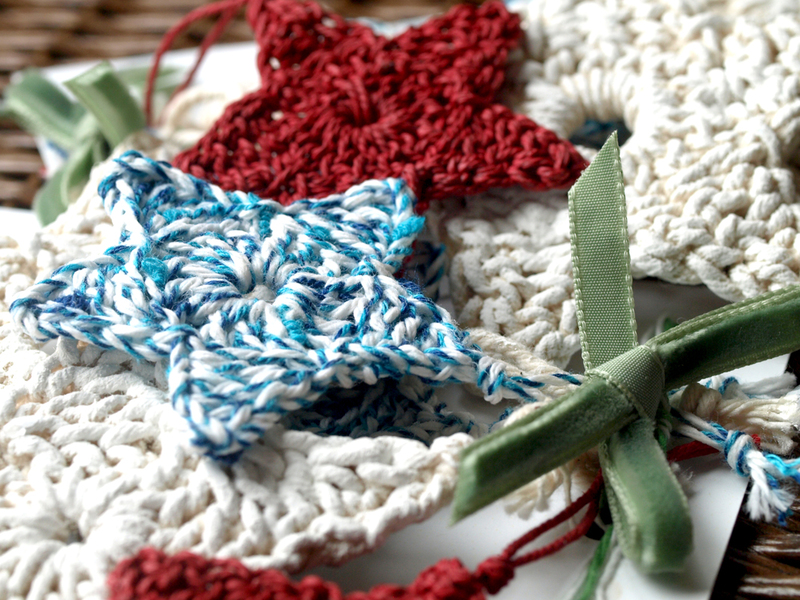 Use this handy chart from Simply Crochet Mag to see how to apply the American Terms. I used the thread ends to make the hanging thread, by threading them through underneath to the same start point, and then knotting them together. 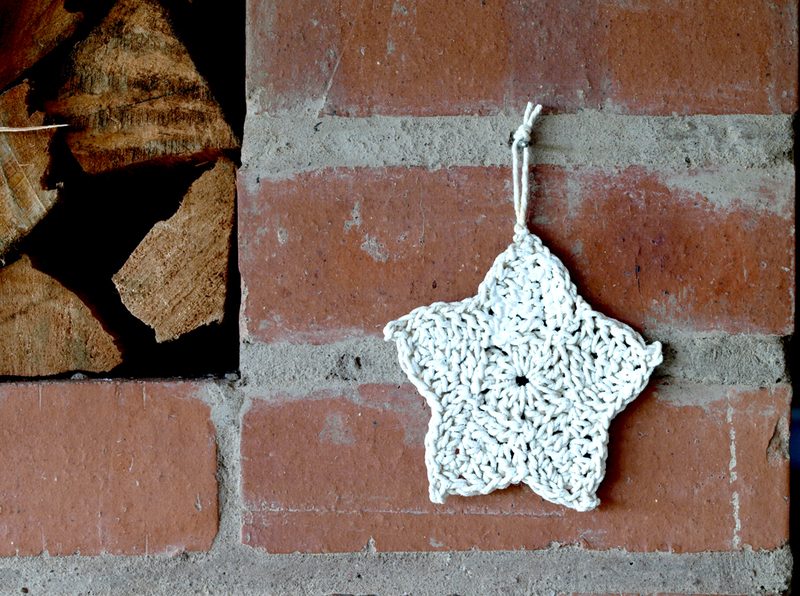 I stiffened the crochet stars in a solution of 1 part wood glue to 2 parts water. I dipped the stars in, and then shaped them to dry on a plastic sheet. 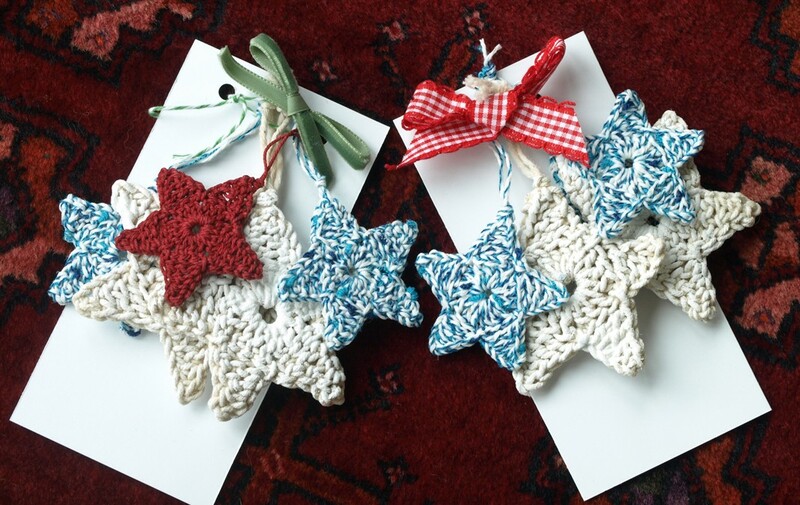 I dasbbed a light layer of Annie Sloan white paint onto the finished stars. 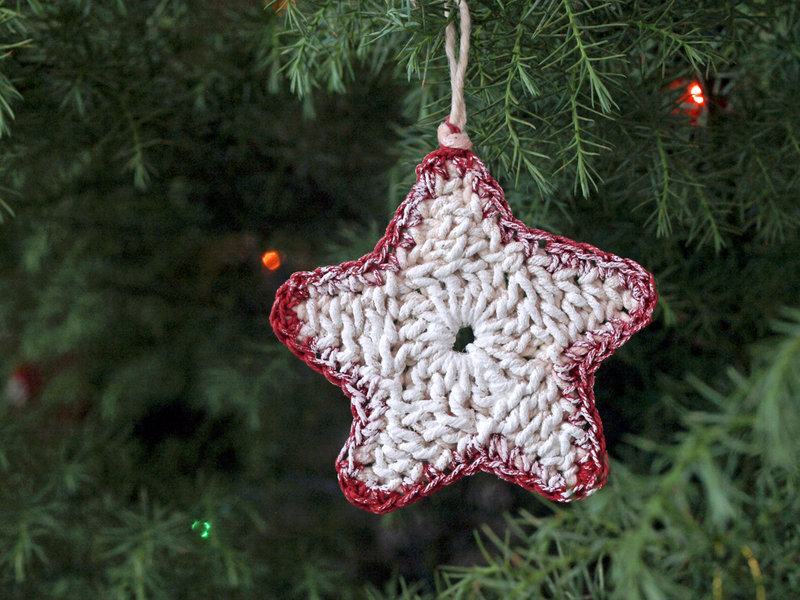 I made a big batch – some to give away and some to hang on the tree and some to occupy vacant wall nails in our new home.